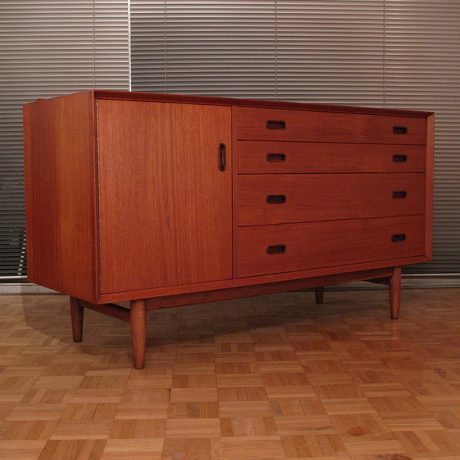 Beautiful and seldom seen model from Niels Moller. 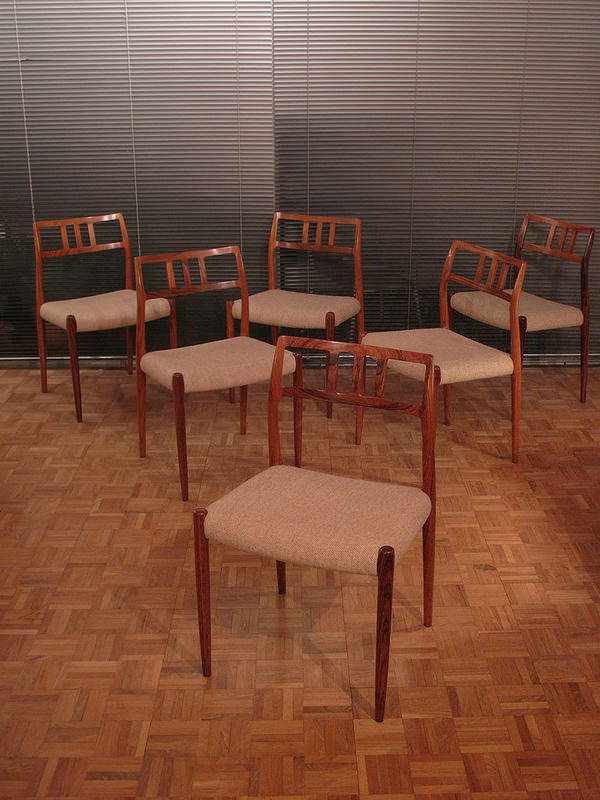 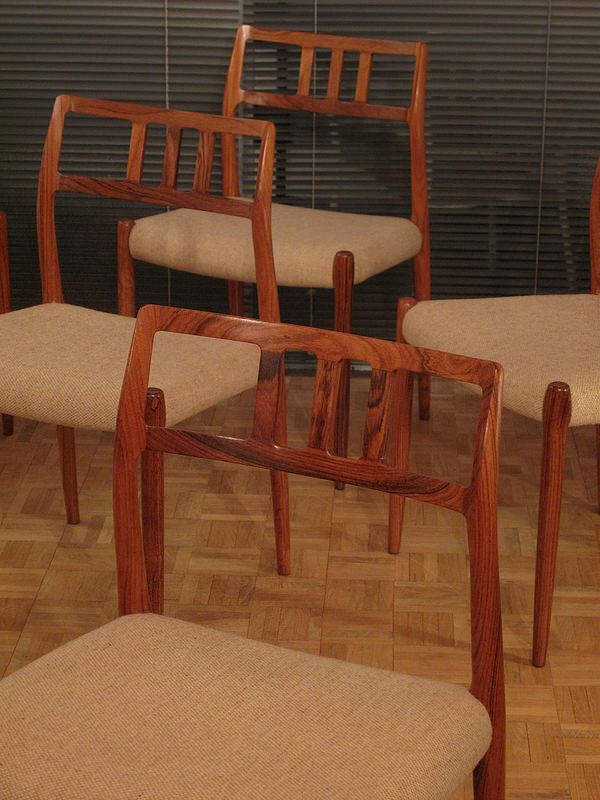 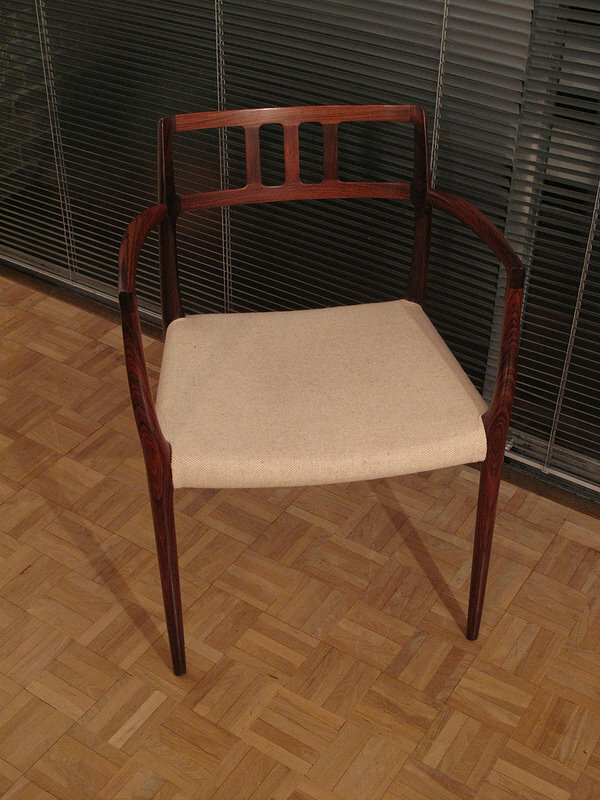 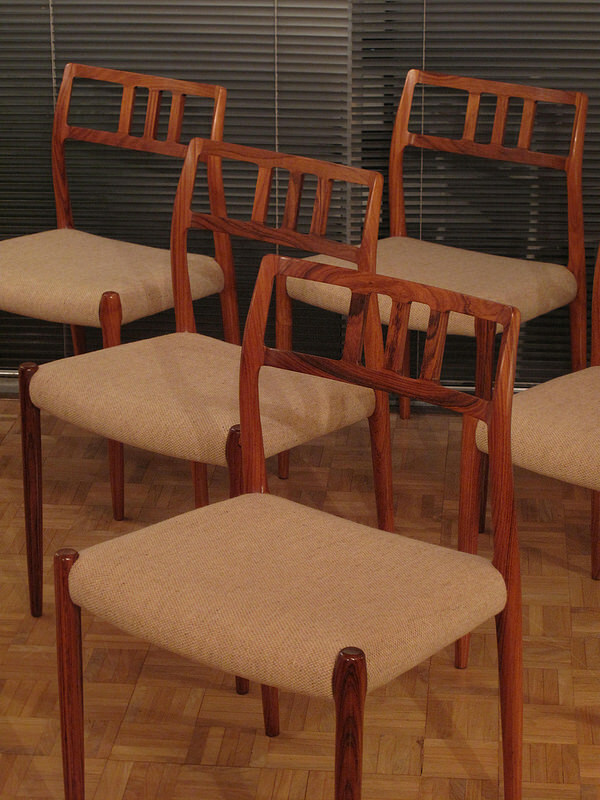 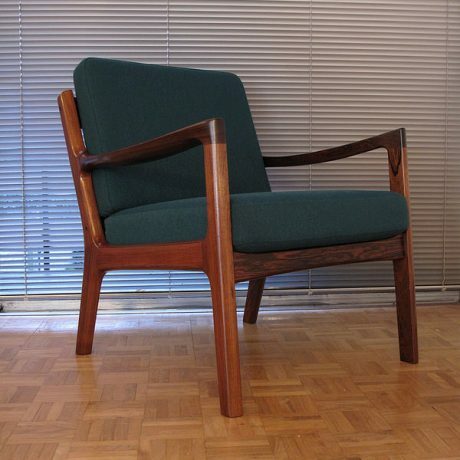 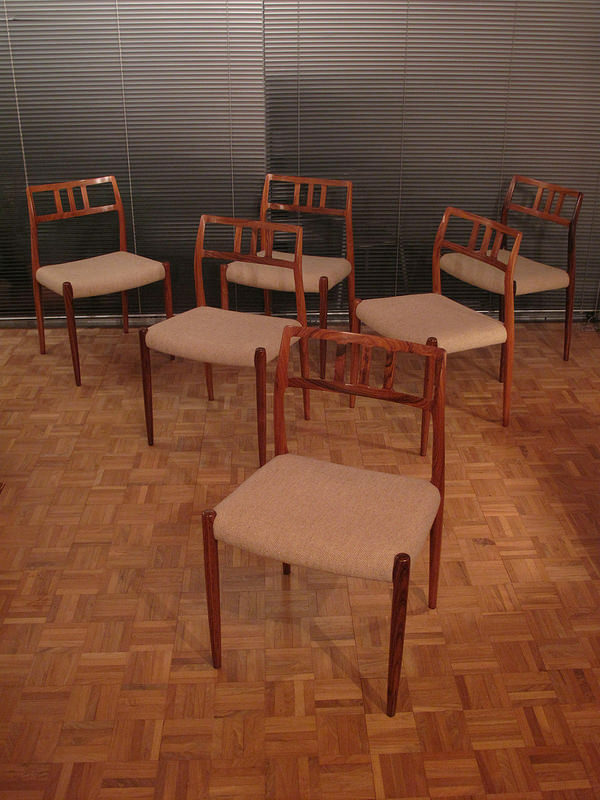 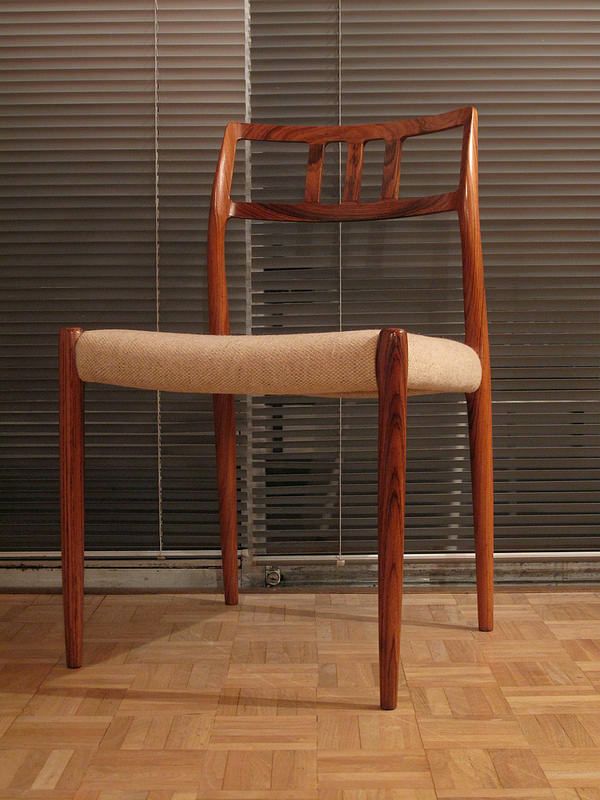 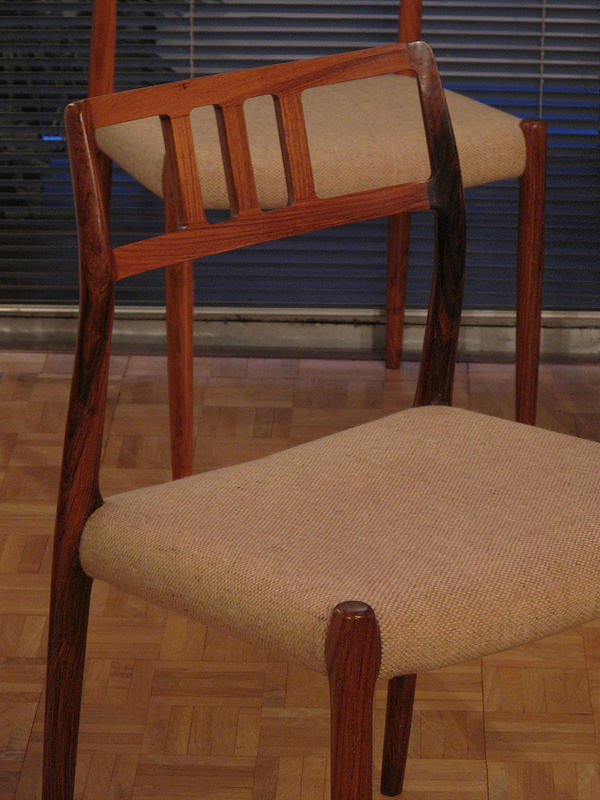 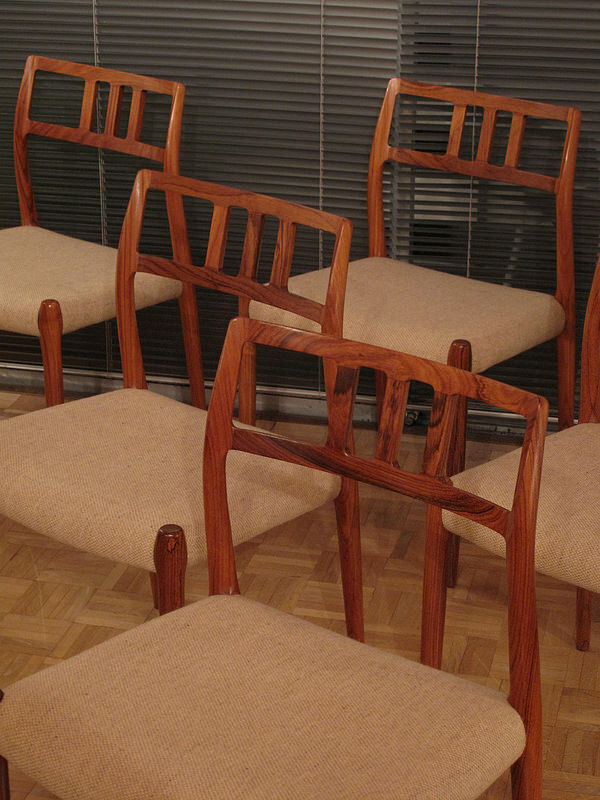 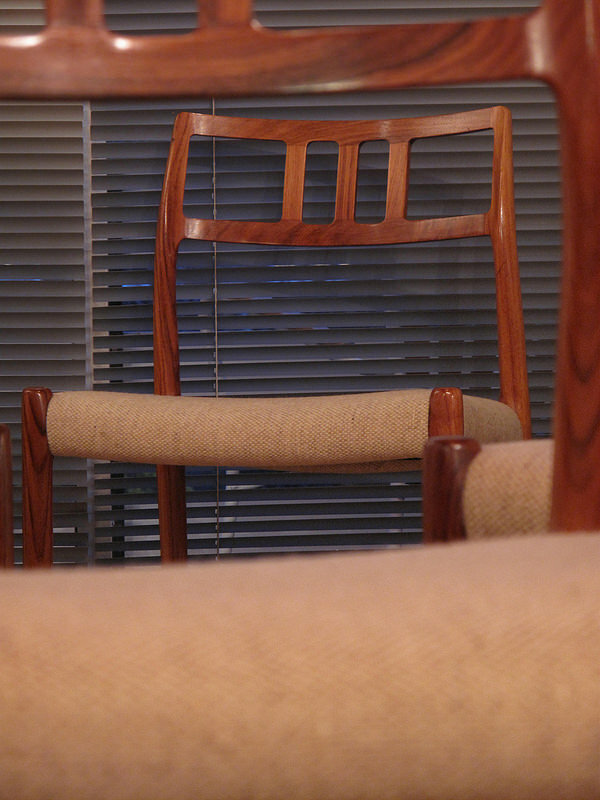 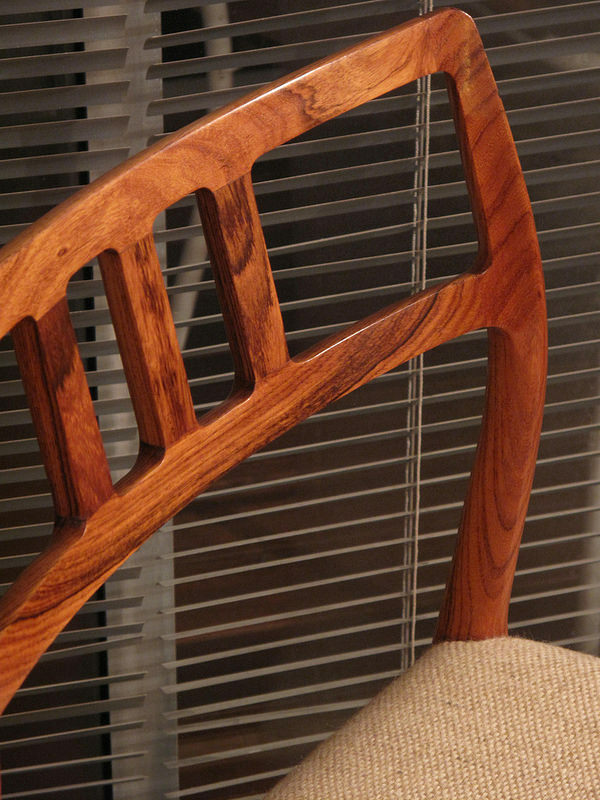 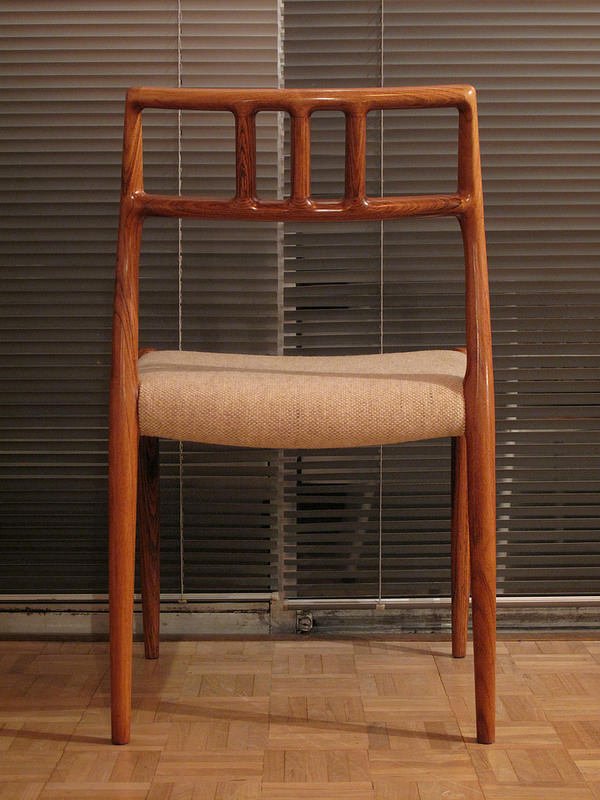 This is an incredibly nice set of six model 79 solid rosewood chairs designed in 1966. 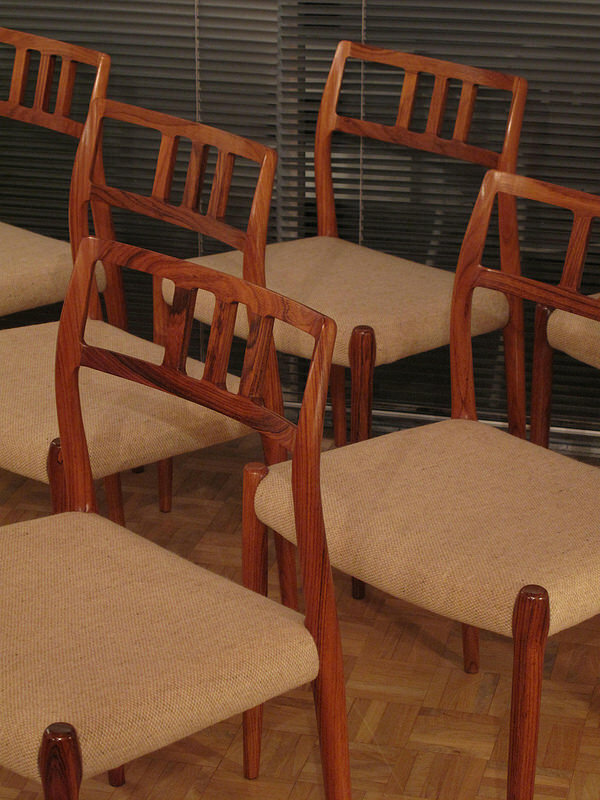 A particularly pleasing feature of this set is the fact they still have their original upholstery which is in outstanding condition. 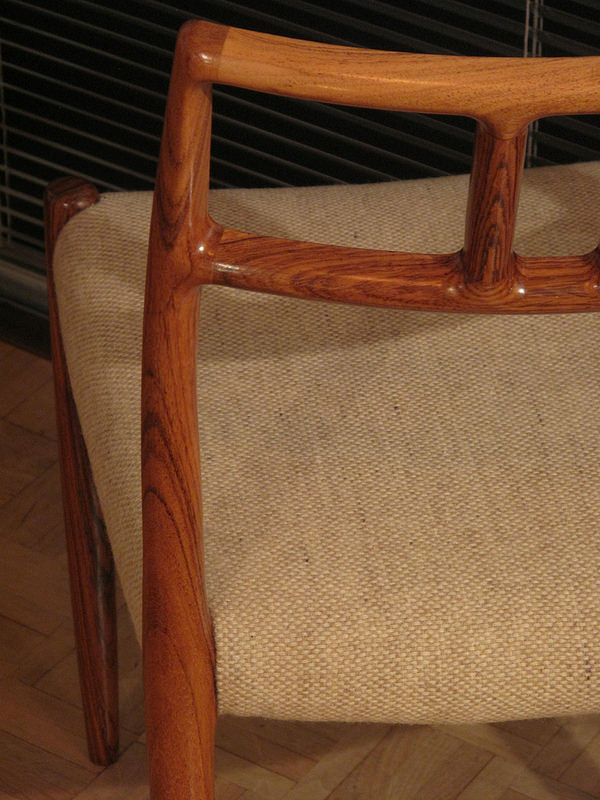 The original tweed wool Moller used is of a very high quality and beautifully soft to the touch. 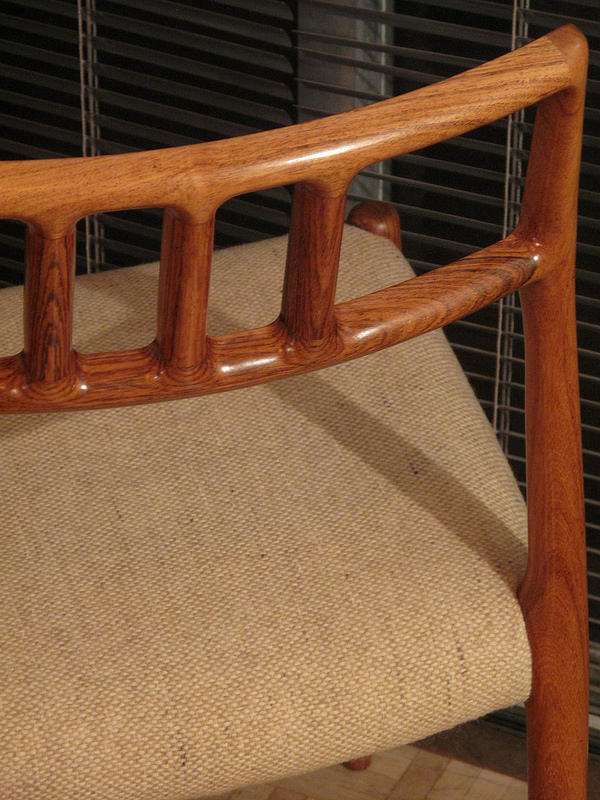 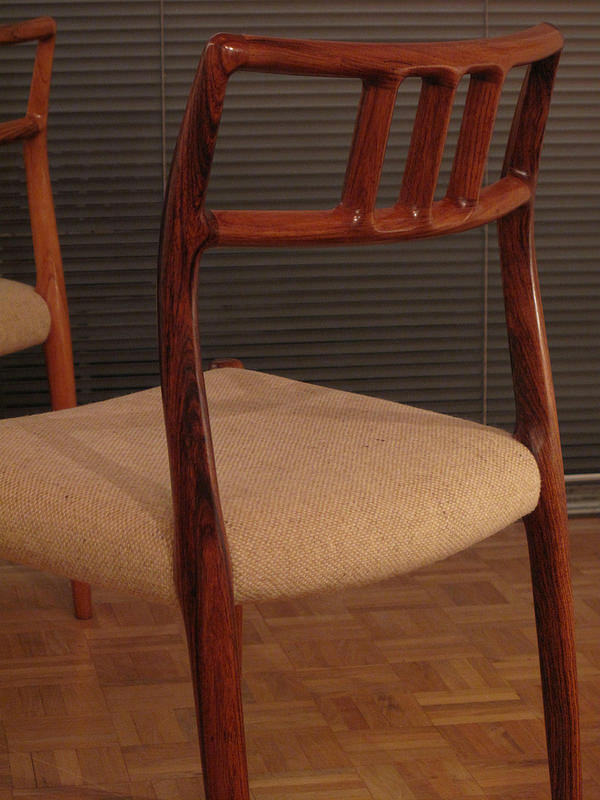 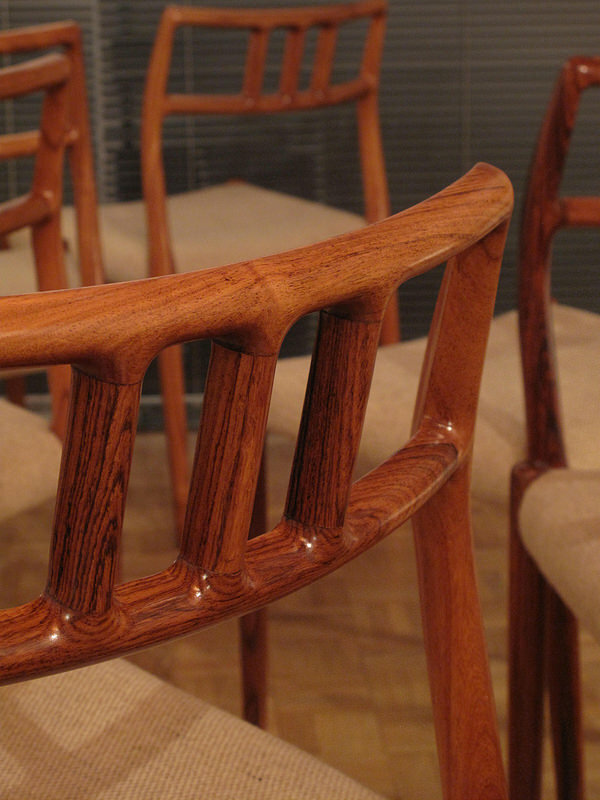 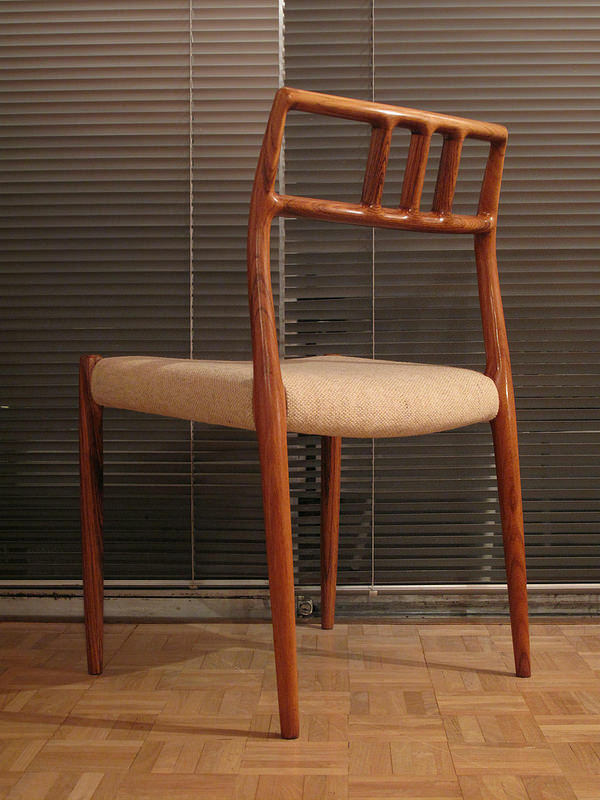 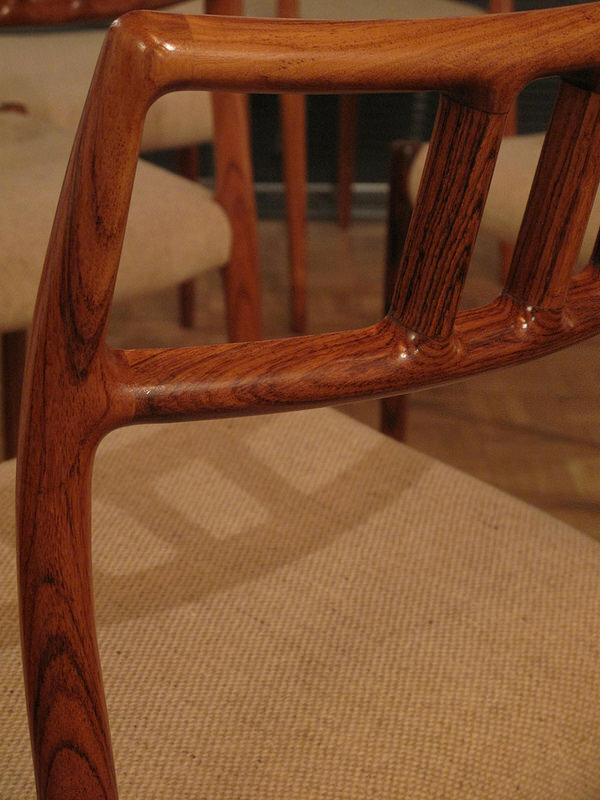 Each chair is marked with the J.L Moller makers stamp to the underside.